A locally owned and operated hearing clinic by an award-winning Doctor of Audiology, we are proud to be serving your community with quality hearing solutions for the past 20 plus years. 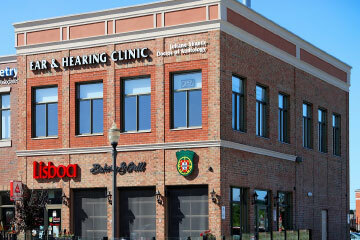 We are committed to providing high quality hearing care to adults and children. We have a Doctor of Audiology, five Audiologists, three Hearing Instrument Specialists on staff and three convenient locations. As registered members of the College of Audiologists and Speech-Language Pathologists of Ontario, we are among the highest qualified regulated hearing healthcare professionals in Canada. We specialize in rehabilitating patients of all ages with hearing loss including local infants identified through the provincial Infant Hearing Program. From hearing tests to tinnitus management, we do it all! Call to find out more about all of the hearing services we offer. 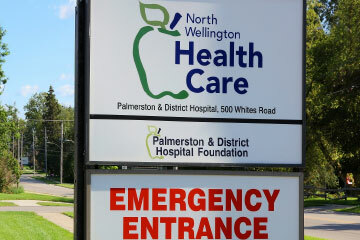 The Ear and Hearing Clinic locations are wheelchair-accessible with plenty of parking. The clinics feature state-of-the-art technology in a patient-centered environment. 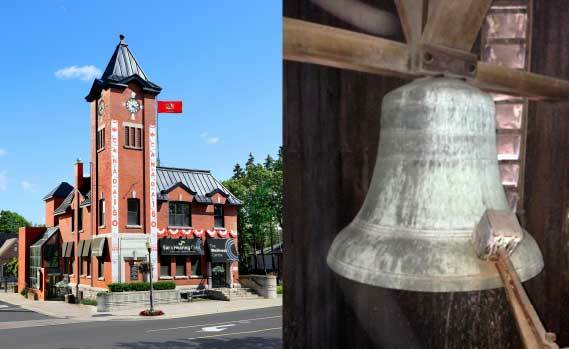 Everyone asks for a tour to see our Elmira Clock Tower Wellness Centre tower bell. Here is a behind-the-scenes photo for you. Fun fact about this location – a volunteer winds the clock twice a week (127 turns each time). It is very heavy! Formally this building was a police station. The basement shows where the old town jail was, as well as the police rifle range, where they had target practice.